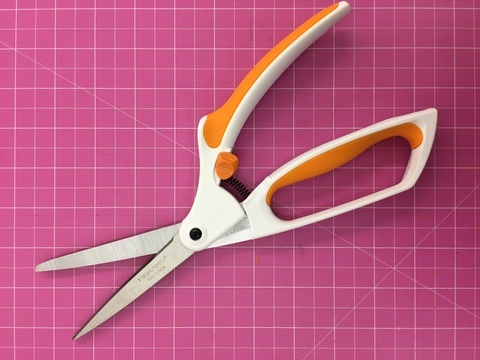 Winner of the Arthritis Foundation® Ease-of-Use Commendation, Fiskars Easy Action™ Scissors are the perfect choice for people with arthritis or limited hand strength. 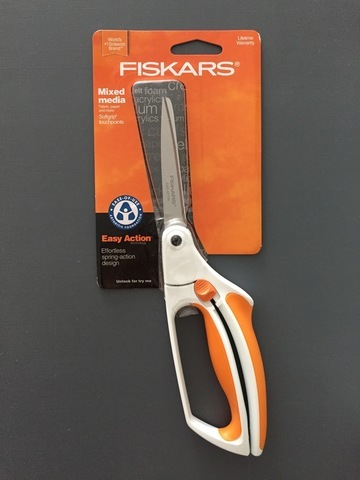 A spring-action design opens the blades after each cut, greatly reducing the effort needed for this basic motion. High-grade, stainless-steel blades feature a precision-ground edge that stays sharp longer and cuts all the way to the tip — essential for anyone who cuts fabric. 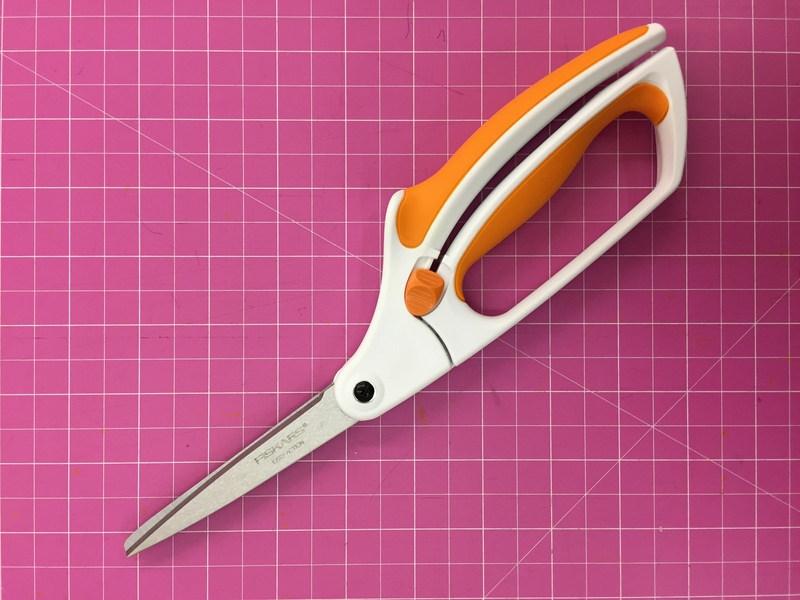 An ergonomically sculpted handle with Softgrip® provides excellent cutting control and comfort, and a bent handle design keeps materials flat for precise cuts every time.